Superb & impeccably kept home on cul-de-sac abutting preserve. 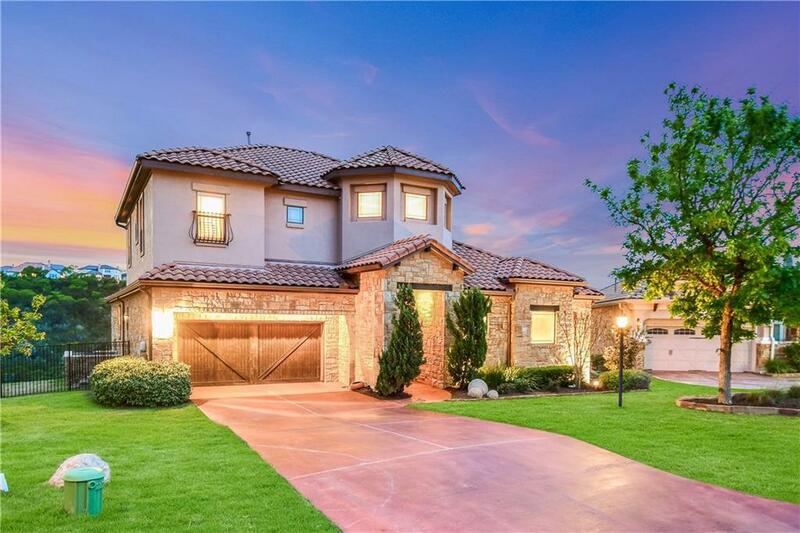 Rare opportunity for home w/panoramic views of untouched hill country & lake. 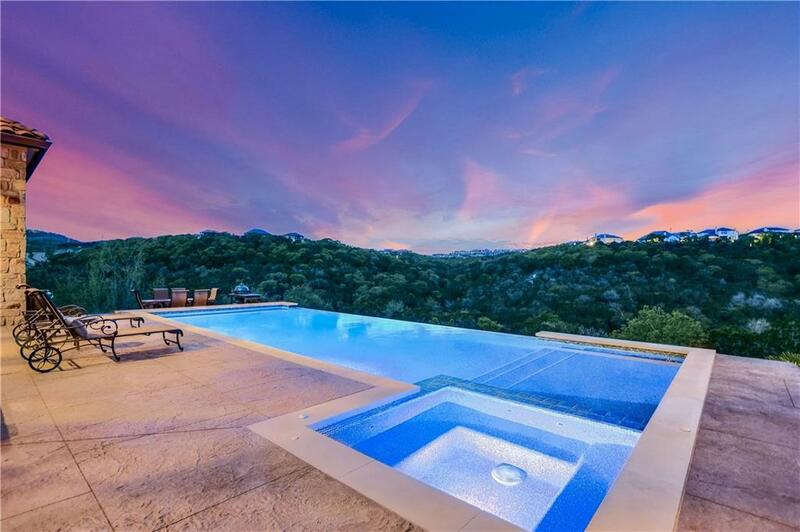 Infinity pool w/expansive deck creates a private haven. 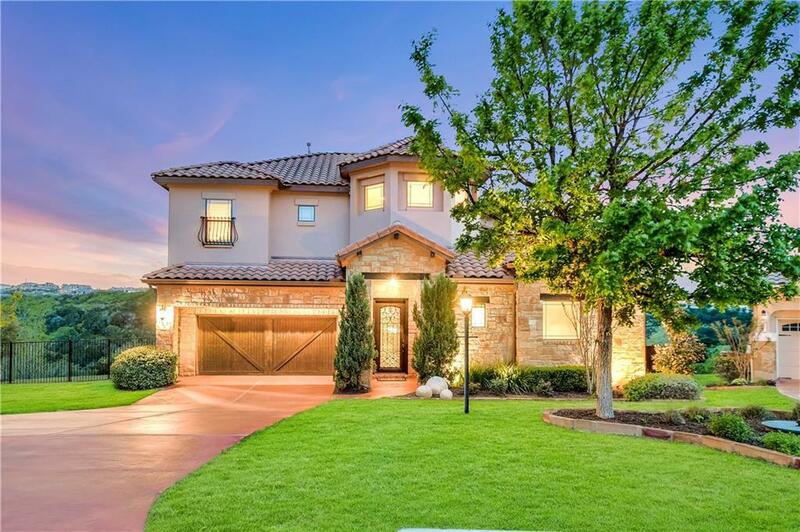 Main: large foyer to great room w/soaring ceilings and open design between kitchen, dining & family rooms; chef style kitchen w/Kitchen Aid appliances, large island & walk-in pantry; tranquil master suite w/walk-in closet; 2nd bed&bath; study; utility. Upper: 2BRM, 2BTH, media, 2nd family RM & covered balcony.